From left, Mikayla Rogers, Paige O’Brien, Jordyn Bublitz, Kendra Rogers and Kate Koppins at the Cambridge Raceway. Photo: Candice Gollan. Cambridge horsewoman Jordyn Bublitz continued her family’s passion when she achieved a cup week double by taking out the Templeton Medical NZ Cup Prelude and the Westview/Catch Driver NZ Kidz Kartz Trotting Cup last week. Five members of the Waikato Kidz Kartz qualified for the event of the year: Jordyn Bublitz, 17, with Chaos, Kate Koppins, 14 with Caramello, Kendra Rogers, 12 with Shadow, Paige O’Brien, 12 with Monet and Mikayla Rogers, 10 with Tosca. Third-generation harness racing family Bublitz and her pony Chaos were the successful double duo this year after winning the NZ Cup prelude and then placing second in the NZ Kidz Kartz Trotting Cup last year. “I’m over the moon, we came here last year and managed to get second,” Jordyn said. This success comes after Jordyn won the Taranaki Kidz Karts 2017 Hawera Cup driving Chaos. “It’s just family blood, third generation. It’s pretty big, my whole family’s in it,” she said. Jordyn has been a member of the Waikato Kidz Kartz for eight years, describing it as “sort of like a harness racing apprenticeship”. Kidz Kartz is a national programme that helps develop youth growth in harness racing and has been running since 2003. Children can take part in Kidz Kartz courses to learn skills around pony care and the safe driving practices of harness racing. 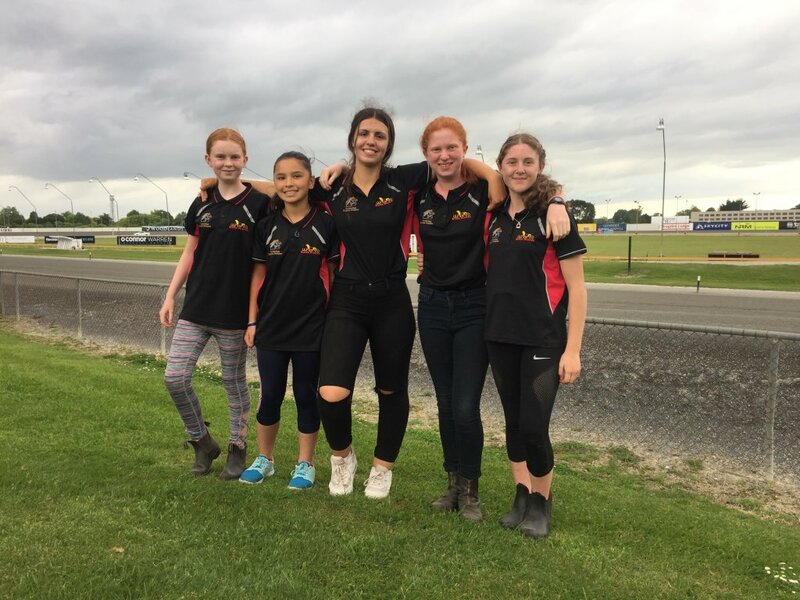 All five qualifying girls were excited at the prospect to be heading down to Christchurch for the big race, especially as four of them had not attended before. All the girls can see themselves with carrying on with careers in harness racing after Kidz Kartz. For more information visit the Waikato Kidz Kartz Facebook group.